A small, all-American style diner on 3rd Street in midtown, Hardy’s Hot Wings has a signature dish you can guess from the name, and a number of signature sauces that range from mild to medium, hot, Xtra hot and freakin’ hot. It’s not just hot wings, though. They also have a full menu of Hardy burgers, sandwiches and, chicken baskets, and sides like tater tots, onion rings, poppers, fried pickles and salads, plus a kids’ menu. But don’t fill up too much or you’ll miss out on their ice cream. Get it in a shake, float or malt, or a cone. Their hamburgers come in an interesting variety, including their ‘Underpass’ burger which is topped with Swiss cheese, grilled onions and avocado, the ‘BlueWho’ with melted bleu cheese crumbles and grilled jalapenos, and the Hawaiian with Swiss cheese, teriyaki glaze, grilled ham, and pineapple. 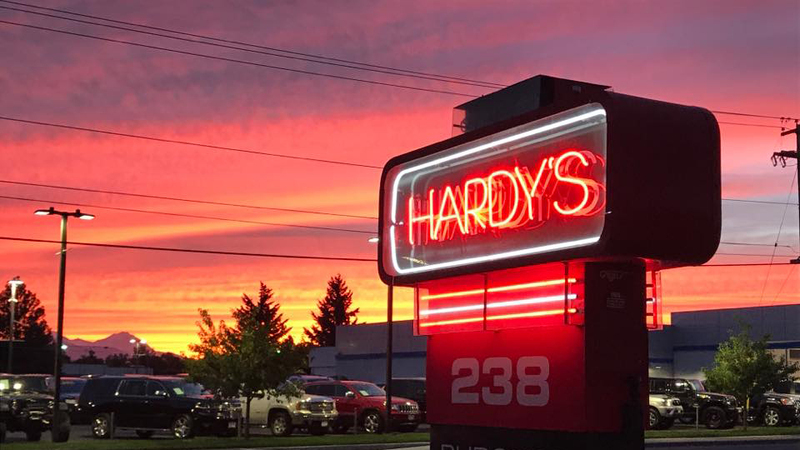 Their prices aren’t fast food prices and their wait time isn’t’ fast food, either, but Hardy’s has a loyal local following that’s kept them hopping for years.